OMG! I have now entered the Hell of the social consequences of “getting help” for a broken leg; not actually for the broken bones: (big cast boot; strict orders from the doc to not put any weight on that foot. Simple, really). I had been resisting mightily the “HOME HEALTH” industry; nice people who come to the house and take “vitals”- give baths (a quick swipe with a wash cloth) “do” physical therapy (whatever that is – undefined so far). “FREE” thanks to Medicare. But, they’re closed on weekends, use “restricted phone numbers” (caller can’t use caller ID or make return calls). WELL! Our nurses aren’t going to give out they’re phone numbers!” was the indignant reply when asked… Just call the ambulance, if you can’t reach us, although the fundamental idea of HOME HEALTH is to keep people OUT OF the Emergency Room. I won’t / can’t go into the organizational structure of these services, because THERE IS NONE. The nurse just left (and left behind an enormous box of “free” medical supplies). I must have used the phrase “please be specific” a dozen times as she rambled on and on (vaguely) about services, service delivery, length (duration of services, determination of services available; that (for some unknown reason) the physical therapist is “master of all this “care” and why I need a social worker to “organize the experience”. Would I hire these people to do repairs and service on my truck? If not, why would I hire them to “work on” me? 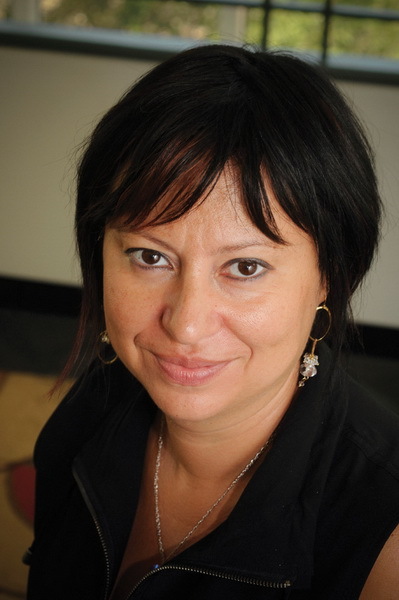 Maria Kozhevnikov currently holds positions as Visiting Associate Professor of Radiology at Harvard Medical School, Athinoula A. Martinos Center for Biomedical Imaging, Department of Radiology and as Associate in Neuroscience at Massachusetts General Hospital. Maria’s primary academic appointment is as an Associate Professor of Psychology at the National University of Singapore, Department of Psychology and Communication and New Media Programme. Maria Kozhevnikov’ labs at Harvard and NUS jointly investigate the neural mechanisms of visual/spatial imagery, as well as individual differences in basic information processing capacities (e.g. the ability to generate, inspect, or transform visual/spatial images). In addition, the lab research focuses on examining how these individual differences affect more complex activities, such as spatial navigation, learning and problem solving in mathematics and science, as well as in exploring ways to train visual/spatial imagery skills and design learning technologies that can accommodate individual differences and learning styles. NOTE: This research may clear up some of the variation within ASD / Asperger’s. I identify myself as “object dominant” but also “spatial” (geology requires visual manipulation of objects across scale, relative location and time; I could not imagine not using both types of visual processing in the field of geology.) I’m definitely “verbal as a second language”. I assume each person has a mix of processing preferences that come together in unique ways. Based on recent data from cognitive neuroscience and behavioral research about the existence of two anatomically and neurologically distinct visual, object and spatial visual systems in perception, working memory, and imagery, (Ungerleider, & Mishkin, 1982; Kosslyn, Ganis, & Thompson, 2001), we propose a new framework of individual differences in mental imagery. Specifically, we investigate the dissociation between individual differences in object visualization ability (processing visual information about appearances of objects and scenes in terms of their pictorial properties) and spatial visualization ability (processing visual information about spatial relations between objects or their parts, and performing mental spatial transformations and manipulations) and how these different types of imagery are used in different professional domains (e.g., science, visual arts, architecture). Our central finding is that some individuals use imagery to construct vivid, concrete, and detailed images of individual objects (object visualizers), whereas others use imagery to represent the spatial relationships between objects and perform spatial transformations, such as mental rotation (spatial visualizers). Moreover, our behavioral results showed that there is a trade-off between object and spatial imagery abilities : while object visualizers score poorly on spatial imagery tasks but excel on object imagery tasks, spatial visualizers score high on spatial imagery tasks but poorly on object imagery tasks (Kozhevnikov, Hegarty, & Mayer, 2002; Kozhevnikov, Kosslyn, & Shephard, 2005; Kozhevnikov, Blazhenkova, & Becker, 2010). Our lab is interested in investigating Cognitive Style from theoretical and applied perspectives. In our research, we refine the concept of cognitive style and develop theoretically guided measures of cognitive style. Cognitive style historically has referred to a psychological dimension representing consistencies in an individual’s manner of cognitive functioning, particularly with respect to acquiring and processing information. The problem of reliably assessing cognitive style has always been a challenge, due to theoretical and methodological difficulties (NT psychology) (see Kozhevnikov, 2007, for a review). In particular, in our research, based on contemporary cognitive neuroscience evidence, we investigate object, spatial, or verbal cognitive styles that describe individuals’ preferences to, or self-assessments of, the use of object, spatial, or verbal, mode of information processing, respectively (Kozhevnikov et al., 2005; Blajenkova et al. 2006; Blazhenkova & Kozhevnikov, 2009). This drives me “nuts” – emotions ARE physiological responses to the environment; and yet, psychologists (and other sinners) continue to conceive of emotions as “mental or psychological states” and “word objects” that exist somewhere “inside” humans, like colored jelly beans in jar, waiting to be “called on” by their “names”. Worse, other “scientists hah-hah” also continue to confuse “physiology” as arising from some abstract construct or supernatural domain (NT thingie) called emotion. The most obvious signs of emotional arousal involve changes in the activity of the visceral motor (autonomic) system (see Chapter 21). Thus, increases or decreases in heart rate, cutaneous blood flow (blushing or turning pale), piloerection, sweating, and gastrointestinal motility can all accompany various emotions. These responses are brought about by changes in activity in the sympathetic, parasympathetic, and enteric components of the visceral motor system, which govern smooth muscle, cardiac muscle, and glands throughout the body. (This is obviously real physical activity of the body, and not a magical, psychological or mental “state”) As discussed in Chapter 21, Walter Cannon argued that intense activity of the sympathetic division of the visceral motor system prepares the animal to fully utilize metabolic and other resources in challenging or threatening situations. Honestly? I think in the above we have a working description of the ASD / Asperger “emotional” system: NO WORDS. So-called “emotions” are a SOCIALLY GENERATED SYSTEM that utilizes language to EXTERNALLY REGULATE human “reactivity” – that is, the child learns to IDENTIFY it’s physiological response with the vocabulary supplied to it by parents, teachers, other adults and by overhearing human conversation, in which it is immersed from birth. What kind of an emotion of fear would be left if the feeling neither of quickened heart-beats nor of shallow breathing, neither of trembling lips nor of weakened limbs, neither of goose-flesh nor of visceral stirrings, were present, it is quite impossible for me to think … I say that for us emotion dissociated from all bodily feeling is inconceivable. NEXT: The representation of “emotions” as “thingies” that can be experienced and eaten! Are we to believe that 34,000 distinct “emotion objects” exist “in nature / in humans” or are these “inventions” of social language? Plutchik’s Wheel of Emotions: What is it and How to Use it in Counseling? Can you guess how many emotions a human can experience? The answer might shock you – it’s around 34,000. With so many, how can one navigate the turbulent waters of emotions, its different intensities, and compositions, without getting lost? The answer – an emotion wheel. What is the Difference Between Plutchik’s Wheel of Emotions and the Geneva Emotion Wheel? A Fun Test Using Plutchik’s Wheel of Emotions: Who Are You Really According to the Emotion Wheel? NEXT: Some Definitions of Emotions / Rather confusing, conflicting, unsatisfying, nonspecific descriptions: – indication that we’ve entered the supernatural realm of word concepts. Aye, yai, yai! Ellsworth, Phoebe p 192. “. . . the process of emotion . . . is initiated when one’s attention is captured by some discrepancy or change. When this happens , one’s state is different, physiologically and psychologically, from what it was before. This might be called a “state of preparedness” for an emotion . . . The process almost always begins before the name [of the emotion is known] and almost always continues after it. Two days ago, I found out that I actually broke both leg bones at the ankle…This is my new “leg” – will be immobilized for 8-12 weeks. I’m stir crazy already!!!! Question / Is Common Sense even better than Empathy? Summer at last; warm winds, blue skies, puffy clouds. The dog and I are both delirious over the ability to “get out of” quasi imprisonment indoors. 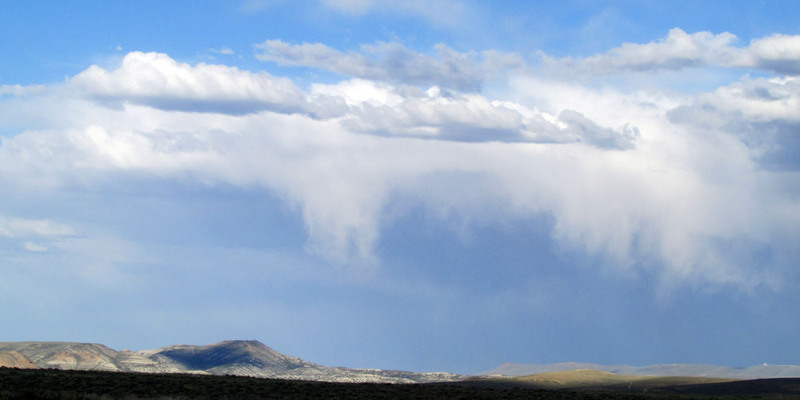 Into the truck; a short drive to the south, up and over the canyon edge into the wide open space of the plateau. Out into “the world again” striding easily along a two-rut track that goes nowhere; the type that is established by the driver of a first vehicle, turning off the road, through the brush, and headed nowhere. Humans cannot resist such a “lure” – Who drove off the road and why? Maybe the track does go somewhere. And so, the tracks grow, simply by repetition of the “nowhere” pattern. Years pass; ruts widen, deepen, grow and are bypassed, smoothed out, and grow again, becoming as permanent and indestructible as the Appian Way. This particular set of ruts is a habitual dog-walking path for me: the view, the wind, the light, the sky whipped into a frenzy of lovely clouds… and then, agony. Gravel underfoot has turned my foot, twisting my ankle and plunging me into a deep rut and onto the rough ground. Pain; not Whoops, I tripped pain, but OMG! I’m screwed pain. I make a habit of glancing a few feet ahead to check where my feet are going, but my head was in the clouds. This isn’t the first time in 23 years that I’ve taken a fall out in the boonies: a banged up shin or knee, a quick trip to the gravel; scraped hands, even a bonk on the head, but now… can I walk back to the truck, or even stand up? One, two, three… up. Wow! Real pain; there’s no choice. Get to the truck, which appears to be very, very far away, at this point. Hobble, hobble, hobble; stop. Don’t stop! Keep going. Glance up at the truck to check periodically to see if it’s “growing bigger” – reachable. I always tell myself the same (true) mantra in circumstances like this: shut out time, let it pass, and suddenly, there you will be, pulling open the truck door and pulling yourself inside. There is always some dumb luck in these matters: it’s my left ankle. I don’t need my left foot to drive home. Then the impossible journey from the truck to the house, the steps, the keys, wrangling the dog and her leash, trying not to get tangled and fall again – falling through the doorway, grabbing something and landing on the couch. Now what? That was five days ago. Five days of rolling around with my knee planted in the seat of a wheeled office chair, pushing with the right foot as far as I can go, then hopping like a one-legged kangaroo the rest of the way. Dwindling food supplies; unable to stand to cook; zapping anything eligible in the microwave. No milk in my coffee. Restless nights. Any bump to my bandaged foot wakes me up. This is ridiculous! My life utterly disrupted by a (badly) sprained ankle. I think I’m descending into depression. Bipedalism, of course, begins to takeover my thoughts. But first, I try to locate hope on the internet, googling “treatment for sprained ankle.” You’re screwed, the pages of entries say. One begins to doubt “evolution” as the master process that produces elegant and sturdy design. Ankles are a nightmare of tiny bones and connecting ligaments, with little blood supply to heal the damage, and once damaged, a human can expect a long recovery, intermittent swelling and inevitable reinjury, for as long as you live. It seems that for our “wild ancestors” a simple sprain could trigger the expiration date for any individual unlucky enough to be injured: the hyenas, big cats, bears and other local predators circle in, and then the vultures. Just like any other animal grazing the savannah or born into the forest, vulnerability = death. It’s as true today as it ever was. Unless someone is there with you when you are injured, you can be royally screwed: people die in their own homes due to accidents. People die in solo car wrecks. People go for a day hike in a state park and within an hour or two, require rescue, hospitalization and difficult recovery, from one slip in awareness and focus. And, being in the company of one or more humans, hardly guarantees survival. Success may depend on their common sense. So: the question arises around this whole business of Homo sapiens, The Social Species. There are many social species, and it is claimed that some “non-human” social species “survive and reproduce successfully” because they “travel together” in the dozens, thousands or millions and “empathize” with others of their kind. Really? How many of these individual organisms even notice that another is in peril, other than to sound the alarm and get the hell out of the danger zone or predator’s path? How one human mind gets from reproduction in massive numbers, that is, playing the “numbers game” (1/ 100, 1/100, 1, 100,000 new creatures survive in a generation), and the congregation of vast numbers in schools, flocks and the odds for “not being one of the few that gets caught and eaten” – how one gets from there to “pan-social wonderfulness” is one of the mysteries of the social human mind. There are occasions when a herd may challenge a predator, or a predatory group; parents (usually the female), will defend offspring in varying manner and degree, but what one notices in encounters (fortuitously caught on camera, posted on the internet or included in documentaries) that solitary instances are declared to represent “universal behavior” and proof of the existence of (the current fad of) empathy in “lesser animals”. What is ignored (inattentional blindness) and not posted, is the usual behavior; some type of distraction or defensive behavior is invested in, but the attempt is abandoned, at some “common sense point” in the interaction; the parents give up, or the offspring or herd member is abandoned. What one notices is that the eggs and the young of all species supply an immense amount of food for other species. I’ve been watching a lot of “nature documentaries” to pass the time. This is, in its way, an extraordinary “fact of nature”. Our orientation to extreme Darwinian evolution (reductionist survival of the fittest) is stunningly myopic. We create narratives from “wildlife video clips” edited and narrated to confirm our imaginary interpretation of natural processes; the baby “whatever” – bird, seal, monkey, or cute cub; scrambling, helpless, clueless, “magically” escapes death (dramatic soundtrack, breathless narration) due to Mom’s miraculous, just-in-the-nick-of-time return. The scoundrel predator is foiled once again; little penguin hero “Achilles” (they must have names) has triumphantly upheld our notion that “survival is no accident” – which in great measure is exactly what it is. One thing about how evolution “works” (at least as presented) has always bothered me no end: that insistence that the individual creatures which survive to reproduce are “the fittest”. How can we know that? What if among the hundreds, thousands, millions of “young” produced, but almost immediately destroyed or consumed by chance, by random events, by the natural changes and disasters that occur again and again, the genetic potential “to be most fit” had been eliminated, depriving the species of potential even “better” adaptations than what those we see? We have to ask, which individuals are “fittest” for UNKNOWN challenges that have not yet occurred? Where is the variation that may be acted upon by the changing environment? This is a problem of human perception; of anthropomorphic projection, of the unfailing insistence of belief in an intentional universe. Whatever “happens” is the fulfilment of a plan; evolution is distorted to “fit” the human conceit, that by one’s own superior DNA, survival and reproduction necessarily become fact. Like those two-rut roads that are ubiquitous where I live, chance predicts that most of evolution’s organisms “go nowhere” but do constitute quick and easy energy sources for a multitude of other organisms. Because humans have been foragers for the vast majority of their time on earth, understanding the supernatural beliefs and practices of hunter-gatherers is essential to any genealogy of religion. This Category will examine those beliefs as part of a larger effort to trace the history of religion. Overview of personality “theories” + History of “personality concept” / Yikes! Interdisciplinary research, as valuable as it certainly is, seems to be a fundamentally ambiguous endeavor. Such ambiguity, importantly, does not consist in the very idea of building bridges between disciplines. Rather, it refers to metatheoretical and methodological issues inevitably involved in connecting two or more fields. The latter are often substantially different and may involve conceptual and theoretical apparatuses which, if not altogether incommensurable, are hard to translate into each other. The fact that fundamental problems of interdisciplinary studies are rarely explicitly explored makes this issue even more troublesome. Without any attempt at addressing this enormously complex problem as a whole, it may be worthwhile to recall one recent example of interdisciplinary discussion occurring at the intersection of empirical psychology and normative ethics: a discussion of virtuous character. The latter being a paradigmatic subject matter of virtue ethics, at least from Socrates, has recently been reconsidered in the light of experimental results obtained by academic psychology. More specifically, it was related to the criticism of the concept of personality voiced mostly by social psychologists. The conceptual and theoretical core of personality psychology, both in its scientific and folk versions (Gilbert & Malone, 1995; Ross, 1977), has usually been constructed around the notion of temporally stable and cross-situationally consistent features: so-called global or robust traits. A recent empirical tradition of situationism, however, seems to provide ample evidence not only for the fact that we are all indeed “prone to dispositionism” of this kind, but also that such “dispositionism is false” (Goldie, 2004, p. 63). The researchers from this tradition deny that there are stable and consistent traits or, alternatively, insist that most actual people don’t exhibit traits of this kind. Rather, the large body of empirical evidence (among the research most commonly discussed by virtue ethicists is that by Darley & Batson, 1973; Isen & Levin, 1972; Milgram, 1963; for a more complete review see Doris, 2002) provided shows that it is a situation in which an agent finds him/herself acting, rather than an allegedly context-independent and stable personality, that accounts for the large amount of human behavior. The experiments conducted by social psychologists were soon generalized into doubts concerning the usefulness of trait concepts for the purposes of scientific explanation and prediction. Understood in such a context, in turn, they attracted the attention of many philosophers. The empirical results mentioned above could, indeed, have been disquieting, especially if one realized that the very center of traditional philosophical moral psychology, especially within so-called virtue ethics, had been founded on the notion of moral character with virtues and vices aspiring to exactly the same stability and cross-situational consistency that was undermined in the case of personality. Among the philosophers it was especially Gilbert Harman (1999, 2000) and John Doris (1998, 2002) who stimulated a fierce debate by stating that situationist literature posed a grave threat against “globalist moral psychologies” (Doris & Stich, 2014), and as undermining the very basis of both ancient and contemporary virtue ethics. Such a far-reaching claim, obviously, provoked a strong response (for useful reviews see Alfano, 2013; Appiah, 2008; Goldie, 2004; Miller, 2013a). What seems to have been assumed by at least many disputants from both sides of the controversy, however, was a relatively direct applicability of psychological theses concerning personality to philosophical issues referring to character. In brief, it was the interchangeability of the notions of personality and character that had been presumed. Despite the fact that such an implicit assumption has been often made, these two notions are not identical. True, they are often used interchangeably and the difference is vague, if not obscure. Still, however, the notions in question can be distinguished from each other and the effort to draw the distinction is arguably worthwhile because of the latter’s bearing on many particular issues, including the above discussion of situationism. One possible way of exploring the difference between these two concepts is to compare the typical, or paradigmatic, ways of their application as revealed in their respective original domains. Common language is obviously not very helpful here, as it exhibits the very same confusion that is intended to be clarified. Rather, the context of classical virtue ethics (for character) as well as that of academic personality psychology (for personality), are promising. Such a general clue will be used in the following sections. At first, the concepts of character and personality will be investigated both historically and systematically. Then, in turn, a parallel will be drawn between the pair in question and so-called fact–value distinction and an analysis of the functions played by both concepts conducted. Finally, the outcomes achieved will be placed in the context of some differences between the fact–value distinction and the Humean is–ought dichotomy. As far as the concepts of character and personality are concerned it is certainly the former that has a longer history. In fact, it was a traditional medium of addressing individual differences at least from the times of the ancient Greeks and Romans until, more or less, the beginning of the 20th century. The etymology of the contemporary term “character” in many languages, including both English and German, leads to the Greek word charaktêr, which itself had once undergone a considerable evolution of meaning (see Homiak, 2015). Initially, it used to refer to a mark impressed upon a coin. Subsequently, it was generalized to mean a distinctive feature of a thing and, finally, took on a recognizable meaning of a set of qualities typical to an individual. In antiquity the notion of character was inseparably connected with the normative aspect of human conduct and in most contexts amounted to moral qualities of a respective person: to virtues and vices. Such a connection was emphasized in a term alternative to “character”: the Greek word “êthos” (cf. Gill, 1983, p. 472). An evaluative discourse of character can be found in common language and folk psychology (cf. Irwin, 1996), but it is its professional version proper to virtue ethics that is crucial in the present context. The latter philosophical tradition took on its classical form in Socrates and culminated with Aristotle’s (trans. 2000) Nicomachean Ethics, which to this day is a paradigmatic example of a virtue ethical account. Ancient conceptions of character were descriptive and normative with both these features closely intertwined. They involved theories of moral and developmental psychology and, at the same time, a prescription and a detailed instruction of character education and character self-cultivation. And it was, importantly, a ‘life-long learning’ account that was provided: it was a rational adult, rather than a child deprived of genuine rationality, who was regarded by Cicero, Seneca, or Plutarch as able to accomplish “character formation through reasoned reflection and decision” (Gill, 1983, p. 470). The standards for the success of such a process were usually considered objective. In the Aristotelian context, for instance, it was the ability to properly perform human natural functions that provided the ultimate criterion. Danziger begins his account with an important remark that initially the notion of personality carried the meanings which were not psychological, but were theological, legal, or ethical ones. It was only as a result of considerable evolution that it “ended up as a psychological category.” The first important dimension of the process of its coming “down to earth” (1997, p. 124) was the medicalization. Danziger places the latter in 19th-century France, where medical professionals were as skeptical about the earlier theologically or philosophically laden versions of the notion as they were enthusiastic about the promises of its naturalization. It was as a result of their reconceptualization that “personality” began to refer to “a quasi-medical entity subject to disease, disorder and symptomatology” (1997, p. 131). The term understood as such won its place within medical discourse and soon, in 1885, it became possible for Théodule Ribot to publish The Diseases of the Personality without a risk of conceptual confusion. An evolution began which would later lead to the inclusion of the personality disorders into the DSM (cf. Brinkmann, 2010, p. 73). Among the descendants of the medicalization it is arguably the mental hygiene movement, “an ideological component” (Danziger, 1990, p. 163) of the rise of contemporary research on personality, that was most important at that time. On the basis of the belief that it is an individual maladjustment rooted in early development that is responsible for all kinds of social and interpersonal problems, “a powerful and well-founded social movement” (p. 164) directed at the therapy of the maladjusted as well as at the preventive efforts addressed to the potentially maladjusted (which could include everybody), was initiated. The notion of personality, as noted by Danziger, “played a central role in the ideology” (p. 164) of this movement. More particularly, it was the “personality” of individuals addressed by the latter which was recognized as “the site where the seeds of future individual and social problems were sown and germinated” (Danziger, 1997, p. 127) and, accordingly, established as an object of intervention. Personality understood as such needed to be scientifically measured on the dimension of its adaptation/maladaptation and it was at this place that the psychologists from the Galtonian tradition of individual differences and mental testing arrived on the scene. In fact, it could easily seem that no one was better equipped than those researchers to perform the task set by the mental hygiene movement and to provide the latter’s ideology with a technical background. Mental testing confined to cognitive abilities or intelligence at roughly the same time, i.e., after World War I, turned out to be insufficient not only as a means of occupational selection but also for its originally intended application, i.e. as a predictor of school success. In effect, there was an increasing recognition of the need for measurement techniques for non-intellectual mental qualities. And such techniques were indeed soon developed using the very same methodological assumptions that had been previously applied to cognitive abilities. Paper-and-pencil questionnaires measuring non-cognitive individual differences “began to proliferate” (Danziger, 1990, p. 159). Simultaneously, a new field of psychological investigation, “something that could sail under the flag of science” (p. 163), began to emerge. Only one more thing was lacking and it was a label, a name for the new sub-discipline and its subject matter. The “shortlisted” candidates included the notions of temperament, character, and personality. The first one was rejected due to its then associations with physiological reductionism. Why not “character,” then? Well, that notion in turn was considered inappropriate due to its association with the concept of will being an “anathema to scientifically minded American psychologists” (Danziger, 1997, p. 126) and generally normative connotations. The third candidate, “personality,” as a result, came to the fore. Not only was it devoid of an unwelcome moralistic background and already popularized by the mental hygiene movement, it also offered a realistic prospect of quantitative empirical research. Already adopted by scientific medicine and understood along the lines of Ribot as an “associated whole” (un tout de coalition) of the variety of forces, personality, rather than holistic character, was a much more promising object for the post-Galtonian methodology (Danziger, 1997, p. 127; cf. Brinkmann, 2010, p. 74). Soon, the newly emerging field “developed loftier ambitions” (Danziger, 1997, p. 128) and became a well-established part of academic psychology4 with its flagship project of discovering basic, independent, and universal personality-related qualities: the traits. And it is actually this tradition that is more or less continued today, with the Big Five model being a default perspective. The transition from the notion of character to that of personality was a very complex process which reflected some substantial changes in cultural and social milieu. Some insightful remarks about the nature of the latter have been provided by Brinkmann’s (2010) account of the shift between the premodern “culture of character” and essentially modern “culture of personality.”This shift, importantly, was not only a “linguistic trifle.” Rather, it was strictly associated with “the development of a new kind of American self” (Nicholson, 1998, p. 52). A culture of character, to begin with, was essentially connected with moral and religious perspectives, which provided the specification of human télos. And it was in relation to the latter that the pursuit of moral character was placed. In the paradigmatic Aristotelian account, for instance, the notion of the virtuous character was essentially functional in the same way in which the concept of a good watch is (MacIntyre, 2013). The criteria of success and failure, accordingly, were defined in terms of one’s ability to perform the natural functions of the human creature. And the latter were not “something for individuals to subjectively decide” (Brinkmann, 2010, p. 70). Rather, they were predetermined by a broader cosmic order of naturalistic or theological bent. The goal of adjusting one’s character to suit the requirements of human nature was institutionalized in social practices of moral education and character formation. According to Brinkmann, it was especially moral treatment or moral therapy that embodied the default approach “to the formation and correction of human subjects” (2010, p. 71). This endeavor was subsequently carried on in the very same spirit, though in an essentially different cultural milieu, by William Tuke and Phillipe Pinel and it was no earlier than with Sigmund Freud that a new form of therapy, properly modern and deprived of an explicit normative background, emerged. Note: And yet, in American psychology, it is precisely this “imaginary normal” that continues to be the default assumption against which pathology and defect are assigned. The ancient virtue ethical approach embodied in a culture of character was taken over by the Middle Ages, with an emphasis shifted considerably towards theological accounts of human goals. A thoroughly new perspective proper to a culture of personality appeared much later with the emergence of the scientific revolution, which seriously undermined the belief in objective normative order. The earlier cosmic frameworks started to be supplanted by psychological perspectives with romanticism and modernism being, according to Brinkmann (2010, p. 72), two forces behind them. Note: I don’t think that Americans understand how pervasive “the shift” away from the individual being “a unique personality that must be expressed as fully as possible” to a totalitarian demand for conformity as dictated by a “new religious” tide of psycho-social tyranny was accomplished in a few decades. It is not surprising that Liberalism is every bit as religious as the Christian Right in its goal to “restore” the extreme religious aims (and hatred of humanity) of Colonial America; a continuation of the religious wars that raged in Europe for centuries. The demand for the “journey towards himself” can be connected with a disenchantment of the world, which had left an individual in a universe devoid of meaning and value. If not discovered in the world, the latter needed to be invented by humans. One had to “turn inwards” in order to find the purpose of life and this entailed, significantly, the rejection of external and social forces as potentially corrupting the genuine inborn self. The idea of “an individual in relative isolation from larger social and cosmological contexts” began to prosper and it “paved the way for the modern preoccupation with personality” (Brinkmann, 2010, pp. 67, 73) defined in fully atomistic or non-relational terms. The romantic and modernist branches of a culture of personality, with all the differences between what they laid emphasis on, were connected by the common atomistic account of the self and a plea for the development of unique qualities of the individual. And it is this “core element” of their influence which is still in place today,8 even though some authors, Brinkmann included, have announced the appearance of a new cultural formation, a culture of identity. The complexity of the processes which helped the contemporary notion of personality to develop from its ancient predecessor can explain both semantic similarities and the subtlety, if not obscurity, of the differences existing between them. In order to clarify this vague conceptual area an attempt will be made to distinguish between the concept of character as paradigmatically present in virtue ethical discourse and the concept of personality as represented, in an arguably clearest form, by academic personality psychology. Some valuable efforts to draw a distinction between these two notions, importantly, have already been made in a variety of contexts (Gill, 1983, 1986, 1990; Goldie, 2004; Kristjansson, 2010; Kupperman, 1991; Miller, 2013a; cf. Kristjansson, 2012; McKinnon, 1999). The ensuing exploration is intended as a systematization and synthesis of these proposals. The relationship between two notions in question can be elucidated by, first, indicating their common features (genus proximum) and, then, by specifying the ways in which they differ from each other (differentia specifica). As far as the former is concerned, both “character” and “personality” can be regarded as constructs belonging to the discourse of individual differences.9 Both notions are analyzable, even if not reductively analyzable, in terms of some lower-level terms such as virtues and vices or, respectively, traits. These lower-lever concepts are usually understood as dispositional. A personality trait, for instance, can be defined as a “disposition to form beliefs and/or desires of a certain sort and (in many cases) to act in a certain way, when in conditions relevant to that disposition” (Miller, 2013a, p. 6). The higher level notions of character and personality, accordingly, are also dispositional. As far as the depth of the notion of character is concerned, the concept of personality is often associated with a considerable superficiality and the shallowness of mere appearances (Goldie, 2004, pp. 4–5; Kristjansson, 2010, p. 27). The fact that people care about character, accordingly, is often connected with their attempt to go beyond the “surface,” beyond “the mask or veneer of mere personality” (Goldie, 2004, p. 50; cf. Gaita, 1998, pp. 101–102).11 Even the very etymology of the term “personality” suggests superficiality by its relation to the Latin concept of persona: “a mask of the kind that used to be worn by actors.” Character as deeper “emerges when the mask is removed” (Goldie, 2004, p. 13; cf. the Jungian meaning of persona). It does not work the other way around, though. An outgoing and charming personality, when connected with considerably bad character, is in a sense polluted. A criminal who is charming can be even more dangerous, because he/she can use the charm for wicked purposes.13 Such a difference, importantly, should not be taken as implying that personality cannot be evaluated at all. It can, with a reservation that such an evaluation will be made in terms of non-moral criteria or preferences. An extraverted person, for instance, can still be considered as a “better” or more preferable candidate for the position of talk show host (cf. Goldie, 2004, p. 47; McKinnon, 1999, pp. 61–62). The above-given specification of the distinction can be enriched by some remarks by Gill (1983, p. 470), who notices that “character” and “personality” are not only distinguishable as two concepts but also as “two perspectives on human psychology” for which they are, respectively, central. The character-viewpoint, to begin with, “presents the world as one of … performers of deliberate actions” (Gill, 1986, p. 271). Human individuals, in particular, are considered as more or less rational and internally consistent moral agents possessing stable dispositions (virtues and vices) and performing actions which are susceptible to moral evaluation and responsibility ascription. The evaluation of their acts, importantly, is believed to be objective: to be made along the lines of some definite “human or divine standards” (p. 271). No “special account,” accordingly, is taken “of the particular point of view or perspective of the individuals concerned” (Gill, 1990, p. 4). The personality-viewpoint, on the other hand, is not associated with any explicitly normative framework. Rather, it is colored by “the sense that we see things ‘as they really are’ … and people, as they really are” (Gill, 1986, p. 271). The purposes are psychological, rather than evaluative: to understand, empathize with, or to explain. Also the default view of the individuals in question is considerably shifted. Their personality is recognized as being “of interest in its own right” (Gill, 1983, p. 472) and their agency as considerably weakened: “The person is not typically regarded as a self-determining agent,” but rather as a “relatively passive” (p. 471) individual often at the mercy of the forces acting beyond conscious choice and intention. The unpredictability and irrationality entailed by such a view is substantial. To sum up the points made above, it may be said that while both “character” and “personality” belong to the discourse of individual differences, only the former is involved in the normative discourse of person’s moral worth and responsibility. The thesis that the notion of character, but not that of personality, belongs to the discourse of responsibility should be taken here as conceptual. What is claimed, in particular, is that linguistic schemes involving the former notion usually involve the notion of responsibility as well and allow us to meaningfully hold somebody responsible for his/her character. Language games involving both concepts, in other words, make it a permissible, and actually quite a common, “move” to be made. Whether and, if yes, under what circumstances such a “move” is metaphysically and ethically justified is a logically separate issue, which won’t be addressed here. In those accounts in which the connection between character and responsibility is considered stronger, i.e., as making responsibility claims not only conceptually possible but also justified, a separate account of responsibility is needed (e.g., Miller, 2013a, p. 13). One possible ground on which such an account can be developed is the relationship between character and reasons (as opposed to mere causes). Goldie (2004), for instance, emphasizes the reason-responsiveness of character traits: the fact that they are dispositions “to respond to certain kind of reasons” (p. 43). Actually, he even defines a virtue as “a trait that is reliably responsive to good reasons, to reasons that reveal values” (p. 43, emphasis removed; cf. the definition by Miller, 2013b, p. 24). A vice, accordingly, would be a disposition responsive to bad reasons. Whether all personality traits are devoid of reason-responsiveness is not altogether clear (cf. Goldie, 2004, p. 13). For the notion of personality proper to academic psychology the answer would probably depend on a particular theoretical model employed. There would be a substantial difference, for instance, between personality understood, along the behavioristic lines, as a disposition to behavior and more full-fledged accounts allowing emotional and, especially, cognitive dispositions. What seems to be clear is the importance of reason-responsiveness for character traits. As soon as the notions of character and personality have been both historically and systematically explored some further and more detailed analysis can be conducted. The first issue to be addressed arises from the fact that the distinction between character and personality notions “looks sharpest when the word good is introduced” (Kupperman, 1991, p. 8). One may argue, in particular, that all the dimensions enumerated in the above section including depth, ethical nature, relationship to the discourse of personal worth and responsibility, as well as reason-responsiveness are strictly connected with what has come to be called the fact–value distinction. The latter distinction, more specifically, seems to be in a sense parallel to the dichotomy between personality and character, respectively. The fact–value distinction is usually derived from some remarks in David Hume’s (1738/2014, p. 302) Treatise of Human Nature, in which the idea of the logical distinctiveness of the language of description (is) and the one of evaluation (ought) was expressed. A relatively concise passage by Hume soon became very influential and gave birth not only to a distinction, but actually to a strict dichotomy between facts and values (cf. Putnam, 2002). A methodological prescription “that no valid argument can move from entirely factual premises to any moral or evaluative conclusion” (MacIntyre, 2013, p. 67) was its direct consequence. In order to refer the above dichotomy to the notions of character and personality, it may be helpful to remember Allport’s (1921) idea of character being “the personality evaluated according to prevailing standards of conduct” (p. 443). A crucial point to be made here is that the act of evaluation is considered as an addition of a new element to an earlier phenomenon of personality, which can be comprehended without any reference to normativeness. The latter notion, in other words, is itself morally neutral: “There are no ‘moral traits’ until trends in personality are evaluated” (Allport, 1927, p. 285). The thesis that personality can be specified independently of character or more generally, without any application of normative terms, is of considerable importance because it illustrates the fact that the character–personality distinction logically implies the fact–value one. The validity and the strictness of the former, in consequence, rely on the same features of the latter. Character and personality, in brief, can be separated only as long as it is possible to isolate personality-related facts from character-related values. Such dependence should necessarily be referred to contemporary criticism of the fact–value distinction (e.g., MacIntyre, 2013; Putnam, 2002; cf. Brinkmann, 2005, 2009; Davydova & Sharrock, 2003). This criticism has been voiced from different perspectives and involves at least several logically distinct claims. For the present purposes, however, it is an argument appealing to so-called thick ethical concepts14 and the fact–value entanglement that is of most direct significance. The distinction between thick and thin ethical concepts was first introduced (in writing) by Bernard Williams (1985/2006)15 and subsequently subjected to intense discussion (for useful introductions see Kirchin, 2013; Roberts, 2013; applications for moral psychology can be found in Fitzgerald & Goldie, 2012). What is common to both kinds of concepts is that they are evaluative: they “indicate some pro or con evaluation” (Kirchin, 2013, p. 5). Thick concepts, furthermore, are supposed to provide some information about the object to which they refer (information, which thin concepts do not provide). They have, in other words, “both evaluative conceptual content … and descriptive conceptual content … are both evaluative and descriptive” (Kirchin, 2013, pp. 1–2). If I inform somebody, for instance, that person A is good and person B is courageous, it is obvious that my evaluation of both A and B is positive. At the same time, however, the person informed doesn’t seem to know much about a good (thin concept) person A, whereas he/she knows quite a bit about a courageous (thick concept) person B. The significance of thick concepts for philosophical discussion is usually connected with some “various distinctive powers” they supposedly possess. More specifically, when they are interpreted along the lines of a so-called non-reductive view they seem to have “the power to undermine the distinction between fact and value” (Roberts, 2013, p. 677).16 The non-reductive position is usually introduced as a criticism of the reductive idea that thick concepts “can be split into separable and independently intelligible elements” (Kirchin, 2013, p. 8; cf. the idea of dividing character into two parts mentioned above) or, more specifically, explained away as a combination of (supposedly pure) description and thin evaluation. If such a reduction was successful thick concepts would turn out to be derivative and lacking philosophical importance. Many authors, however, including notably Williams (1985/2006), McDowell (1981), and Putnam (2002), claim that no such reductive analysis can be conducted due to the fact–value entanglement characteristic of thick concepts. The latter, as is argued, are not only simultaneously descriptive and evaluative, but also “seem to express a union of fact and value” (Williams, 1985/2006, p. 129). The fact–value entanglement proper to thick concepts becomes apparent if one realizes that any attempt to provide a set of purely descriptive rules governing their application seems to be a hopeless endeavor. One cannot, for instance, develop a list of necessary and jointly sufficient factual criteria of cruelty.17 It is obviously possible “to describe the pure physical movements of a torturer without including the moral qualities” (Brinkmann, 2005, p. 759), but it would yield a specification which comes dangerously close to the description of some, especially unsuccessful, surgical operations. In order to convey the meaning of the word “cruelty” (and to differentiate it from the phrase “pain-inflicting”) one needs to refer to values and reasons (rather than facts and causes only). An evaluative perspective from which particular actions are recognized as cruel, accordingly, must be at least imaginatively taken in order to grasp the rationale for applying the term in some cases, but not in others. Communication using thick concepts, as a result, turns out to be value-laden through and through. The above-given features assigned to thick concepts by the non-reductionists are crucial due to the fact that they cannot be accounted for within the framework of the fact–value distinction. As such they are often believed to “wreak havoc” (Roberts, 2013, p. 678) with the latter or, more precisely, to undermine “the whole idea of an omnipresent and all-important gulf between value judgments and so-called statements of fact” (Putnam, 2002, p. 8). The undermining of the sharp and universal dichotomy between facts and values has a very direct bearing on the character–personality distinction being, as emphasized above, dependent on the former. A crucial point has been made by Brinkmann who noticed that almost “all our words used to describe human action are thick ethical concepts” (2005, p. 759; cf. Fitzgerald & Goldie, 2012, p. 220). And the same applies to the language of character which, contrary to Allport’s expectations, cannot be neatly separated into the factual core of personality and the normative addition. The distinction between the notions of character and personality, in consequence, even though often applicable and helpful, cannot be inflated into a sharp dichotomy. Having analyzed the reliance of the character–personality distinction on the dichotomy between, respectively, value and fact, it becomes possible to carry out the second detailed investigation devoted to the functions played by the two concepts scrutinized. A good starting point for this exploration may be a remark made by Goldie (2004) who, while discussing the omnipresence of the discourse of personality and character, noticed that it is “everywhere largely because it serves a purpose: or rather, because it serves several purposes [emphasis added]” (p. 3). These functions merit some closer attention because they can help to further specify the difference between the concepts investigated. The purposes served by the discourse of individual differences have been briefly summarized by the abovementioned author when he said that we use it “to describe people, to judge them, to enable us to predict what they will think, feel and do, and to enable us to explain their thoughts, feelings and actions” (and to control, manipulate and abuse them) (Goldie, 2004, pp. 3–4; cf. an analogous list provided by Miller, 2013b, pp. 12–13). Some of these functions are common to the notions of character and personality. Some others, however, are proper to the concept of character only. The first of the common functions is description. The language of character and personality can serve as a kind of shorthand for the longer accounts of the actions taken. When asked about the performance of a new employee, for instance, a shift manager can say that he/she is certainly efficient and hard-working (rather than mention all particular tasks that have been handled). Similarly, if we say that A is neurotic, B is extraverted, C is just, and D is cruel, we do convey some non-trivial information about A, B, C, and D, respectively (even though our utterances may include something more than a mere description). The second of the purposes that can be served by both concepts is prediction. We may anticipate, for example, that neurotic A will experience anxiety in new social situations. Despite the fact that such a prediction will be inevitably imprecise and fallible, it does enable us to narrow down “the range of possible choices and actions” (Goldie, 2004, p. 67) we can expect from a particular agent. The notions of character and personality, furthermore, can be employed as a means of judgment. At this point, however, an important qualification needs to be made. If this function is to be assigned to both concepts it can be understood only in a weak sense of judging as providing an instrumental assessment. The ascription of personality traits of neuroticism and extraversion to A and B, respectively, can be used to say that A would not make a good candidate for an assertiveness coach, whereas B may deserve a try in team work. It falls short, however, of any moral judgment, which can be made only by means of character-related notions. The concepts of personality and character, finally, can both be used to provide explanation. We can, for instance, say that C was chosen as a team leader because he/she is just and expected to deal fairly with potential conflicts. Having assigned an explanatory role to “character” and “personality,” however, one should necessarily remain fully aware of the experimental results reported in the first section. An appeal to “character” and “personality” as explanatory constructs does not have to mean that they provide the whole explanation. Situational factors still count and, as a matter of fact, one may need to acknowledge that in a “great many cases … [they] will be nearly the entire explanation” (Kupperman, 1991, p. 59). One other reservation concerns the kind of explanation conveyed by the personality- or character-trait ascription. Human behavior, in particular, can be explained in at least two distinct ways (e.g., Gill, 1990, p. 4). Explanation, to begin with, can be made along the lines of the deductive-nomological model and refer to causes and natural laws. In such cases it is not substantially different from explanations of natural facts (like an earthquake) offered by the sciences. And it is this kind of explanation that is provided when non-reason-responsive features of personality are appealed to (cf. Goldie, 2004, p. 66). Human action, however, can be also made comprehensible by the reference to reasons behind it. If we know what a person in question “values or cares for,” in particular, we can “make sense [emphasis added] of the action, or make the action intelligible, understandable or rational [emphasis added]” (Goldie, 2004, p. 65). Such an “explanation” can be given by the indication of only those traits, which are reason-responsive and, strictly speaking, is much closer to Dilthey’s (1894/2010) understanding (Verstehen) than to naturalistically understood explanation (Erklären). The functions of description, prediction, instrumental assessment, and explanation (at least as far as the latter is understood in terms of causes) are common to both concepts of “personality” and “character.” The latter notion, however, can serve some additional purposes, which give it a kind of functional autonomy. Among the character-specific functions, to begin with, there is moral judgment. When we say that C is just and D is cruel we don’t make an instrumental and task-relative assessment. Rather, we simply evaluate that C is a morally better person than D (other things being equal). With this, the function of imposing moral responsibility is often connected. The issue of the validity of such an imposition is very complex and controversial. Still, it does remain a discursive fact that the claim that D is cruel is usually associated with holding D, at least to some extent, responsible for his/her cruelty. The functions of moral judgment and moral responsibility ascription are not typically served by the scientific notion of personality. They may, however, become formally similar to description, explanation, and prediction if they are, as is often the case, applied within mostly third-personal language (as judging others and imposing responsibility on others). Apart from these functions, however, the notion of character can fulfill some essentially first-personal kind of purposes. And it is the latter that seems to be its most specific feature. Among the first-personal functions of “character,” identification is fundamental, both psychologically and conceptually. When a person identifies with a character trait or, more holistically, with a complete character ideal, she begins to consider such a trait or character as a part of her identity (cf. Goldie, 2004, pp. 69–70): as something she “decides to be or, at least, to see herself as being” (Kupperman, 1991, p. 50). Such an identification, if serious, is very rich in consequences: it establishes “the experienced structure of the world of direct experience as a field of reasons, demands, invitations, threats, promises, opportunities, and so on” (Webber, 2013, p. 240) and helps one to achieve a narrative unity of one’s life (cf. Goldie, 2004; Kuppermann, 1991; McKinnon, 1999). First-personal functions of the character notion, additionally, enable the agent to undertake more specific self-formative acts such as evaluating oneself against the idealized self, structuring moral progress, or providing motivation needed to cope with the difficulties of moral development. The notion of character employed in such a way becomes a kind of an internalized regulative ideal with a considerable emotional, imaginative, and narrative dimension. Its specific purposes are self-evaluative, self-prescriptive, and self-creative (rather than descriptive, predictive, and explanatory). The criteria of its assessment, accordingly, should be at least partially independent from those proper to strictly scientific constructs. The latter fact, as may be worthwhile to mention, has a direct bearing on the challenge of situationism mentioned at the beginning of these analyses. The arguments in favor of this disquieting position have typically referred to experiments indicating that situational variables possess much bigger explanatory and predictive value than those related to personality and concluded that the usefulness of the personality concept needs to be seriously questioned. The doubts concerning the notion of character usually followed without further ado. No special attention, in particular, was paid to the assumption that the concepts of character and personality fulfill the same functions of description, explanation, and prediction. Accordingly, it was usually taken for granted that the failure of the latter concept automatically entails the uselessness of the former.18 As far as it is admitted that such an approach is at least partially erroneous, it may be worthwhile to refocus the debate towards the specific, first-personal, and normative functions of the notion of character. Do we need the latter to perform them and, if so, does this notion really serve us well, even though it is scientifically weak? As soon as the notions of character and personality have been scrutinized on the historical, conceptual, and functional dimensions it may be worthwhile to put forward some suggestions concerning the ways in which the results obtained can bear on the recent interdisciplinary discussions. The analysis of the logical dependence of the character–personality distinction on the strictness of the dichotomy between value and fact has already shown that debates concerning the latter should be carefully followed by any researcher who studies character and personality in their mutual relationship. That it is the latter that most psychologists care about can be clearly seen in two recent papers by Kendler (1999, 2002), who issues a stern warning that any psychological project developed along the lines of what he calls “the enchanted science”20 and motivated by the belief that psychology itself can discover moral truths can lead not only to Gestalt psychology’s holism or humanistic psychology, but also to the quasi-scientific justification of “Nazi and Communist ideology” (1999, p. 828). And it is in order to prevent these kinds of abuses that Kendler (1999) refers to what he calls “the fact/value dichotomy” or “an unbridgeable chasm between fact and values” (p. 829). By this, however, he does not seem to mean anything more than that “empirical evidence can validate factual truth but not moral truth” (p. 829). An example he provides considers the possibility of obtaining reliable empirical data supporting the thesis that bilingual education is advantageous for ethnic identification, but disadvantageous for academic development. Such data, as he rightly insists, would still leave it to the society to decide which value, ethnic identification or academic progress, should be given priority. All of this, however, does not need to lead one to the acceptance of the fact–value dichotomy in the strong version that has been criticized by Putnam, McDowell, and others. Rather, it is the is–ought dichotomy which seems to be sufficient. The subtle differences between these two distinctions have been clarified by Dodd and Stern-Gillet (1995) who argue that the Humean dictum can be best understood as a general logical principle without any substantive metaphysical dimension of the kind usually connected with the fact–value dichotomy. That the is–ought gap is narrower and weaker is also illustrated by the fact that it is confined to “ought” statements with a considerable amount of other evaluative statements left aside. The examples provided by the authors are the aesthetic language of art and, importantly, the virtue ethical discourse of character. And as the ascription of beauty to a painting does not automatically entail any particular prescription,21 so does the assignment of courage or foolishness to a person. Even though such a feature of the characterological language has often happened to be conceived as a weakness within metaethical contexts, it can be arguably beneficial to all those psychologists who want to study the complexities of character without making an impression that any particular normative position can be derived from purely scientific study. A substantial amount of normativity, as shown by the example of thick concepts, will obviously remain inevitable, but it is certainly worthwhile to emphasize that it is mostly placed before empirical research as an evaluative framework taken from elsewhere and, thus, subjected to criteria and authorities of a non-empirical nature. This paper has been written during a visit to Oxford University’s Faculty of Philosophy. I am greatly indebted to Edward Harcourt for all his help and support. For those who can’t resist taking brain tests, go to the website. I would love to hear comments by Aspies who look into this research. Maria Kozhevnikov’s labs at Harvard and NUS jointly investigate the neural mechanisms of visual/spatial imagery, as well as individual differences in basic information processing capacities (e.g. the ability to generate, inspect, or transform visual/spatial images). In addition, the lab research focuses on examining how these individual differences affect more complex activities, such as spatial navigation, learning and problem solving in mathematics and science, as well as in exploring ways to train visual/spatial imagery skills and design learning technologies that can accommodate individual differences and learning styles. Our central finding is that some individuals use imagery to construct vivid, concrete, and detailed images of individual objects (object visualizers), whereas others use imagery to represent the spatial relationships between objects and perform spatial transformations, such as mental rotation (spatial visualizers). Moreover, our behavioral results showed that there is a trade-off between object and spatial imagery ability while object visualizers score poorly on spatial imagery tasks but excel on object imagery tasks, spatial visualizers score high on spatial imagery tasks but poorly on object imagery tasks. (Kozhevnikov, Hegarty, & Mayer, 2002; Kozhevnikov, Kosslyn, & Shephard, 2005; Kozhevnikov, Blazhenkova, & Becker, 2010). My awareness of the environment is overwhelmingly visual. I have stated before, that if asked “Who are you?” my answer would be, “I am everything that I have ever seen.” When immersed in the surrounding desert, which is mostly devoid of human activity, I experience the landscape intimately – its forms, surfaces and “light” – as if boundaries melt away. This “boundary-less” state probably also explains the Asperger dislike of humanscapes: the sensory “invasion” by human stress, emotions and aggression is highly negative and taxing. The exhaustion that comes with trying to “shut out” chaotic thoughts and constant social strife, simply is too much to endure for very long. I haven’t explored the questionnaires constructed by Mental Imagery and Human-Computer Interaction Lab, but I would predict that I’m an object visualizer. I have taken spatial tests, but these require “word instructions” beforehand that explain the steps one must follow to solve the puzzle. In other words, (it seems to me) that spatial tests are not entirely visual – they require conscious word activity and “rules” to accomplish the actual geometric tasks. What the American Psychological Association has to say about “What is Personality?” Do I need to point out the “one track mind” of psychological dogma? This entry does not answer the above question, but instead jumps to it’s favorite obsession: Pathologizing an entire species. What causes personality disorders? Research suggests that genetics, abuse and other factors contribute to the development of obsessive-compulsive, narcissistic or other personality disorders. Ten Turtles on Tuesday This is the story of an 11 year old girl with obsessive–compulsive disorder. She is confused, embarrassed, and frustrated by her counting rituals; eventually she talks to her mom and they seek help. Mixing oil and water Psychologists often find that opposites attract in couples with personality disorders. Recognizing the signs of schizophrenia Schizophrenia can cause hallucinations, delusions and unusual behaviors, as well as cognitive challenges, such as problems with memory, attention and concentration. Help for personality disorders Research suggests that dialectical behavior therapy and cognitive therapy can help people with one of the most common disorders. Optimum population density for a “wild” Asperger? One person per square mile. The previous post was about the number of modern humans who can peacefully coexist; I decided to google “Asperger’s and territoriality” as well as “Asperger’s and boundaries.” Once again, the links that popped up surprised me, since the claims don’t match my experience. A common assertion is that ASD /Asperger types are aggressive; don’t observe boundaries and must be taught social rules. Social people can tell us the rules and try to force us to act them out, but the rules will still not make sense to us. I think that social typicals are confused about aggression. What Asperger people experience is fear, and like a wild animal that is cornered, an Asperger may panic and try to escape a confusing social situation, and if not allowed to retreat, will become agitated and desperate. Social typical behavior is unstable and predatory, and therefore not to be trusted. This is not a sound basis for gaining the friendship of an Asperger type individual.